OK these sweet things! Kayla and I were fellow comm majors at GU - and bonded over the horror that is advanced public speaking. 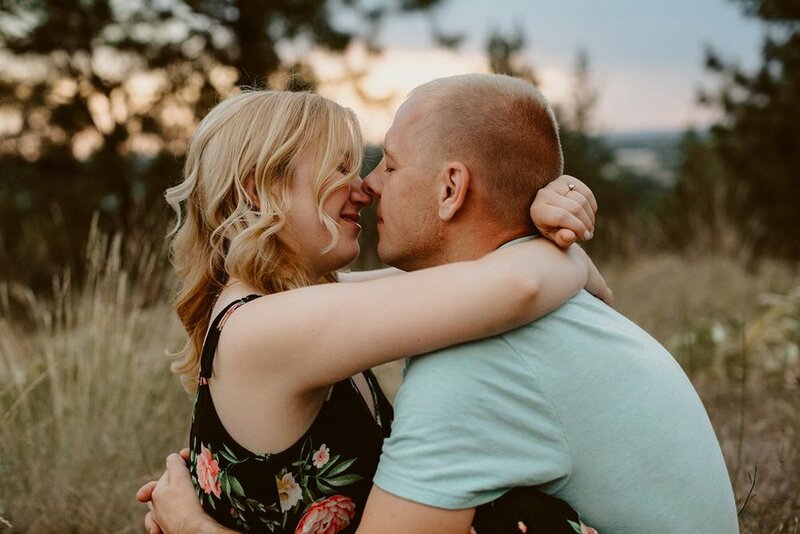 I was so thrilled she reached out for an engagement session and even more thrilled that I was able to squeeze it in on a recent trip to Spokane, WA! Mike is a firefighter in the summers and was possibly going to be called to work the night of our session but luck was on our side and we made it happen!! They also own their own business making hand crafted goods out of retired fire hose and if that isnt the coolest thing you've every heard I don't know what is. 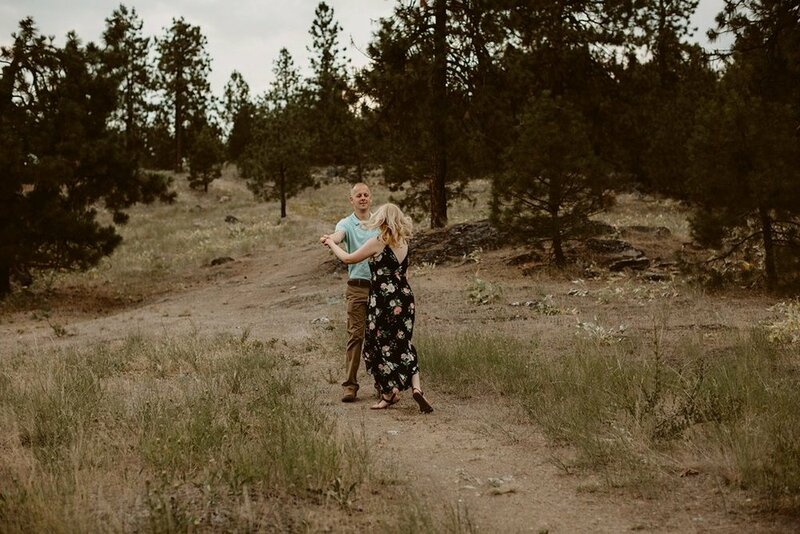 We started our session at their house on their sweet front porch (part 2 coming soon) and at the construction site in their backyard of what will be their production center, and then ventured up to one of my favorite hikes in Spokane, Minnehaha Park. 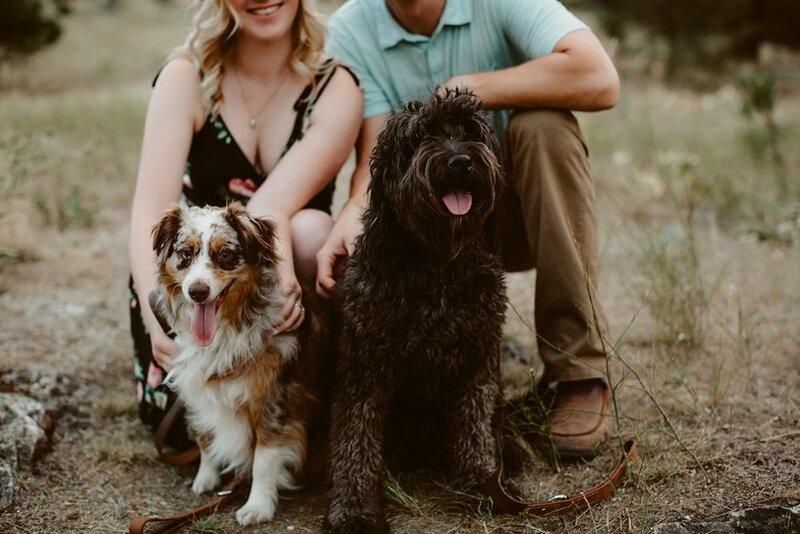 We caught a pretty little sunset and had a blast romping around with their 2 dogs! Congrats again you two! You are so perfect for each other and I can't wait to see the rest of your story unfold!